If you are looking for website design for a primary school or nursery we can help market to the parents of your prospective pupils in a professional and accessible way that will present your institution in a positive light. 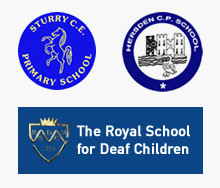 All our primary school websites are fully accessible, DDA compliant and built to the highest standards using our ISO9001 accredited in-house, UK based developers. We have created websites for primary schools in Kent, Wiltshire and throughout the UK, so get in touch with us today to see how our primary school web design can help you speak out to parents in your area. Primary school websites need to take into account a variety of factors in order to produce effective websites which will promote the institution. 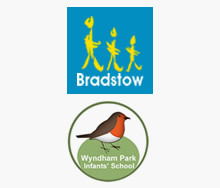 We offer a comprehensive primary school website service which takes all the hassle away from you. We'll design, build and market your site and walk you through every stage of how to make a successful primary school website that will help promote your institution in the best possible light. For more information send us a message and one of our primary school website experts can give you a call back, or give us a ring now on 0330 555 4680 to find out how we can build you a primary school website that will spell out your message loud and clear to your target audience. “The school have demoed updating the website to all the teachers this week and the feedback has been great, they were amazed at how easy it was to create a page for each year and class. They are now using the site in school to teach the children and as a portal for educational sites." We are really trying to push our children forward and we believe the Cornish VLE is part of the way forward."